These are three homework pages that help children get ready to read. 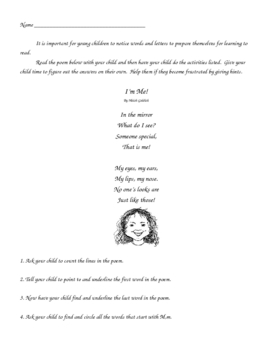 The fun poems are used to help the children notice print, recognize letters and learn some vocabulary. Having the parents do the activities at home with their child, also helps teach the parents about the reading readiness skills.